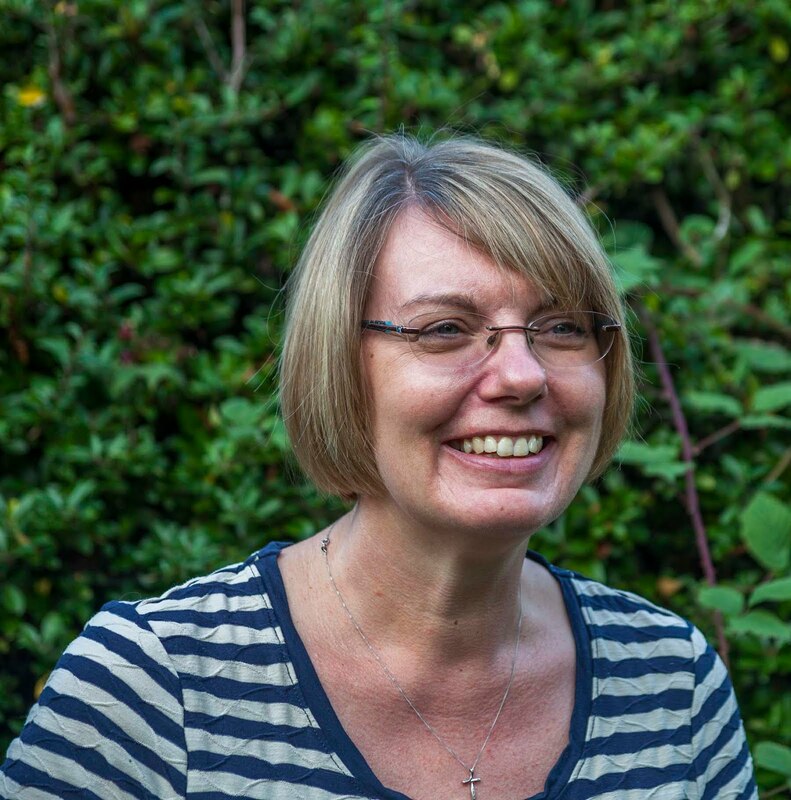 Hi everyone, Ruth here with my first inspiration post of the year. 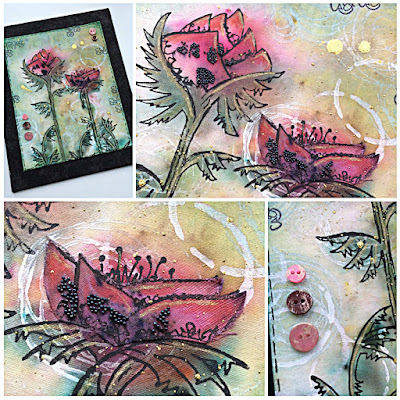 Last year you may remember that Rachel did a fabulous post about using infusions and brushos which you can revisit here, so I thought I'd experiment a bit further and use it with fabric. It's something I first tried at a workshop last year and thought I'd incorporate in a project. Here's my fabric plaque...still not sure if it's a WIP as I may add some stitching but hope you enjoy my experiments so far. I have to be honest it's been a bit hit and miss and although I'm happy with the end result I think I've learnt quite a bit along the way and would do things slightly different next time...but then that's what an inspiration post should also show; firstly inspire you to have a go but also share the pitfalls along the way. ...but I think the pattern was busier than the one I'd used previously so you only see a little of the colour showing through but it will still make a pretty background fabric. So the reason I wanted to show you that first was that if you can create a resist you could make your own printed fabric. 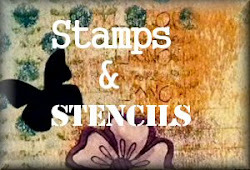 To create a resist you could stencil or stamp with gel medium or paint of course. 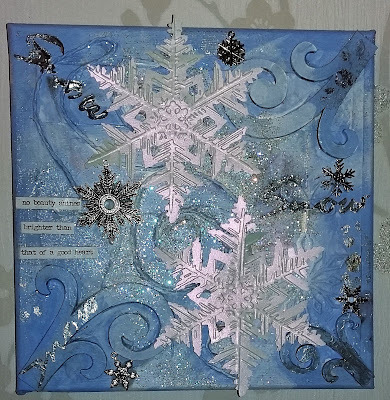 Firstly I stencilled with snowflake fresco and of course as I hadn't cleaned my stencil properly there was a slight pink tinge to some of the 'swirls' which was my first mistake or is that a....learning opportunity? Next I wanted to create a picture or design and although I could have used white again I used black fresco paint instead so it stood out and one of the new JOFY stamps (and second thing I'd do differently is leave the area free of white paint where I would be stamping the flower heads). You can stamp in archival but stamping with paint creates a resist and the images look bolder and stay black. I then used the same infusions on the flower head and 'a bit jaded' on the stalks, I was really pleased how these areas have wicked out as it does give a very subtle effect. What I then wanted was a very soft colour for the background but infusions aren't light because od the walnut stain in them so I chose 'limoncello' which is probably the lightest and watered it down a lot on the fabric. I wasn't totally happy with this colour as in how it contrasted with the others and in the end added some 'pine needles' distress ink around the edges to try and create a vignette effect. Ooh and I almost forgot, where I'd stamped the image over the white swirls, I coloured a separate piece of cotton, restamped the flower head, cut out and glued in place. Lastly I added some gold ink splashes, gold pen, buttons, micro beads and I also used some pitt artist brush pens just to emphasise the colours on the flower heads and stalks. Finally I mounted it on some wadding and applied to a piece of fabric covered backing board. 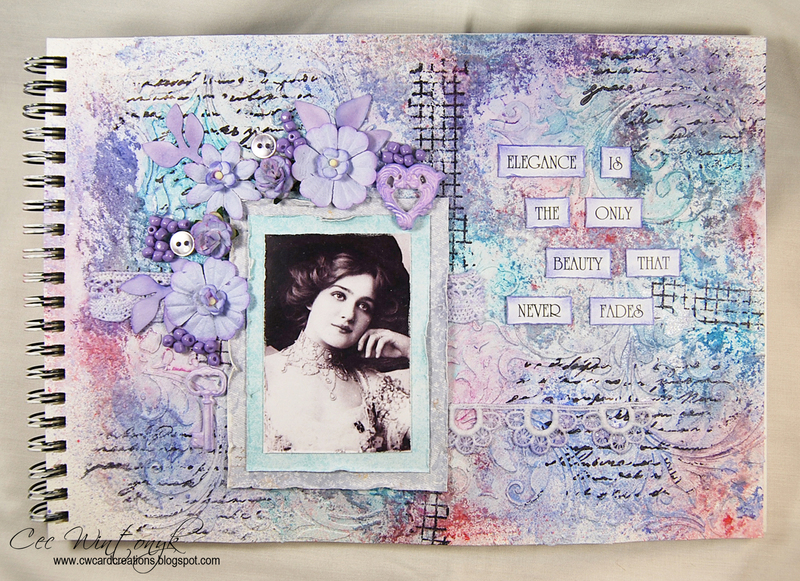 It is time to introduce our Guest Designer for this month's challenge. Please say hello and give a warm welcome to Leanne James of A Brush With A Stamper, who was the winner of our Tags, Bags and Boxes challenge. 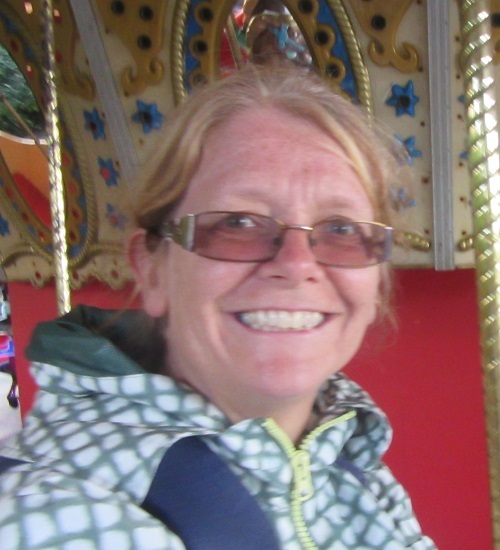 Hi there, my name is Leanne Harris, I’ve been crafting for well over 15 years now, have won or been runner up in many different online challenges and design for Fashionable Stamping Challenges. 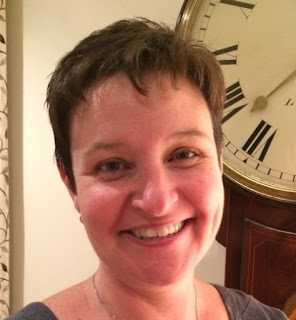 I live in Northamptonshire, England, I have been married for 22 years and am Mum to two teenage daughters. I love rubber stamping and stencil work and my absolute passion is working with paints and inks (well really, anything that’s very messy!!!!!!). 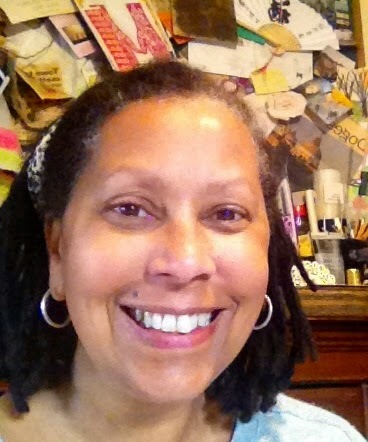 I live in a very busy household so my craft room is my “place for peace” and my go to room when I just need some therapy from all the madness that is going on around me!!! I bet there are lots of you out there that can sympathize with that?!!!! 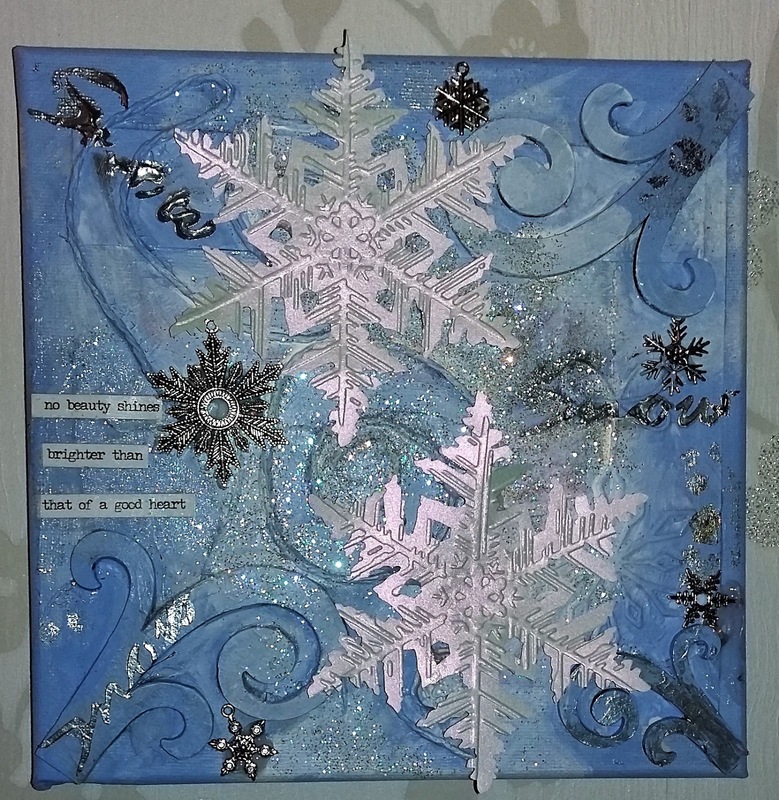 I have a blog, “abrushwithastamper.blogspot.co.uk”, on which I post twice weekly the artwork that I have been creating - this can be anything from mdf work to mixed media to my passion of papercraft and card making. I love to read the kind comments that are left for me and to know that I am inspiring others - that’s what it’s all about for me. 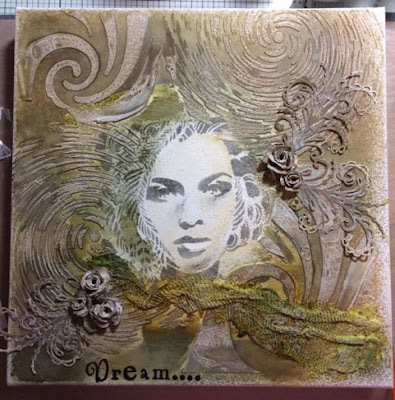 I am really grateful to Cec and the team at Stamps and Stencils for asking me to be their Guest Designer for this challenge, I hope that I have inspired you to try something a little new with your stencils perhaps and I wish you all the very best of luck with the challenge. I have completed this piece of artwork for the new challenge of Swirls, Whirls and Flourishes. As you can see I've got all three going on here. Here are some of the supplies I used. 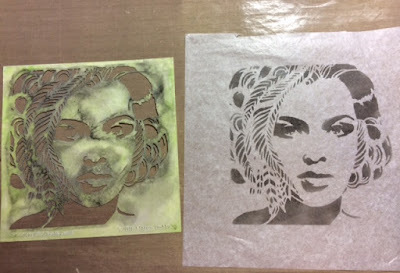 I have used a Stencil Girl stencil and inked through it with Watering Van Archival Ink on tissue paper. 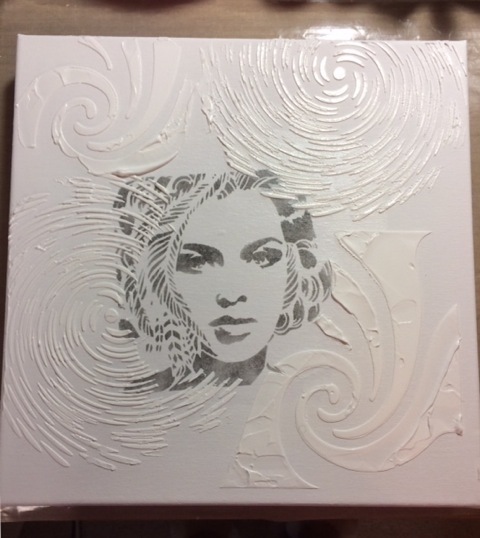 I have attached the tissue paper to the canvas (this is a 12"x12" canvas so it is of some considerable size) with Mod Podge and allowed it to dry. I then put some modelling paste through a couple of different stencils to give me some swirls and whirls and then left it to dry completely. Next I sprayed it with some Powertex Bister spray to start the colour on the background. I have now used the yellow and green Bister sprays and I've added some lace, which I've soaked in Mod Podge and sprayed too. A couple of flourishes from Sue Wilson dies and the sentiment of "Dream" from Clarity Stamps have been added. Now came the fun bit - I had to completely enhance her face as she was lost and buried deep in the artwork and I needed to bring her to the foreground. As you can see in this photo of the finished product again, it worked a treat. 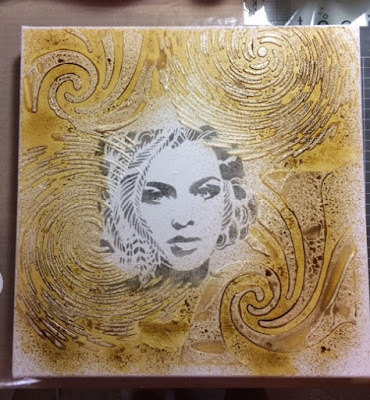 This will show how you can use a stencil to not only ink through but to use the stencil to enhance a picture or piece of artwork and make it your own. I went to town completely on her eyes. 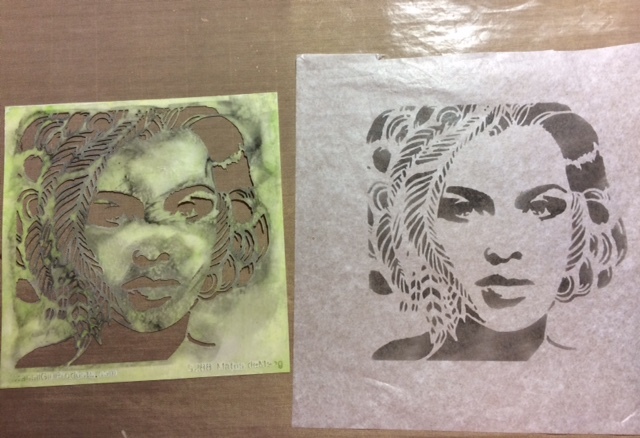 They were "cold" on the original stencil and by changing her hair it brought her completely forward on the canvas. Some further shading of the hair, which is modelling paste and the face itself to help bring out that nose and mouth. 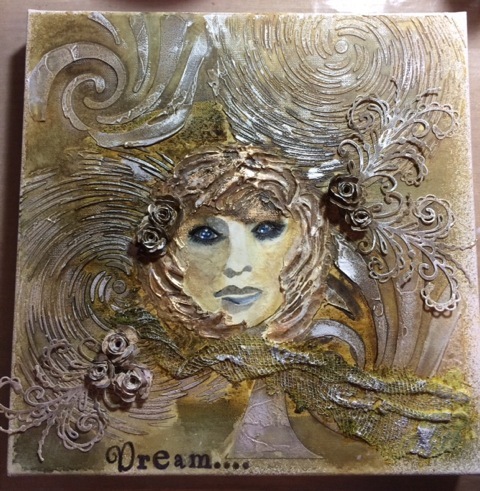 I finally used some gesso and gold and silver gilding wax to highlight areas to show depth and then I was done. That made her more beautiful in my eyes and the whole artwork began to sit around her now. I hope everyone really enjoys playing with their swirls, whirls and flourishes - I most certainly have. Have fun and good luck everyone! 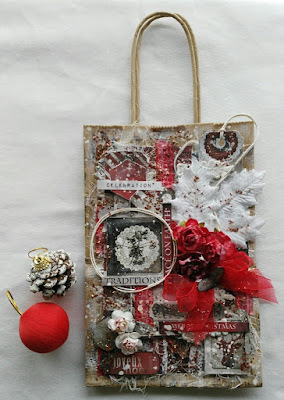 Inspiration Post ~ Upcycle Your Packaging. I selected my packaging, and trimmed it to size. I ran one piece through my Big Shot, using a Seth Apter embossing folder. I had to create an embossing sandwich, as unfortunately my machine does not like the Spellbinders brand of embossing folders. Once the acetate was embossed, I painted one side, using Deco Art Media Acrylic Paints, in green gold, burnt umber and touches of turquoise. Whilst this was drying, I stamped my image with Staz On, onto another piece of acetate. This is where my new stamping tool came into use brilliantly. If you have a Misti or similar tool, you'll know what I mean. It is notoriously difficult to stamp onto a slick surface, but a stamp press makes a huge difference. Once the Staz On ink was dry, I coloured my image with a variety of Alcohol Inks. The stamp is from a Lynne Perella set. gently pressed a sheet of gold leaf onto the surface. This made the colours really glow. I haven't tried it, but I imagine you could use gilding flakes in the same way. 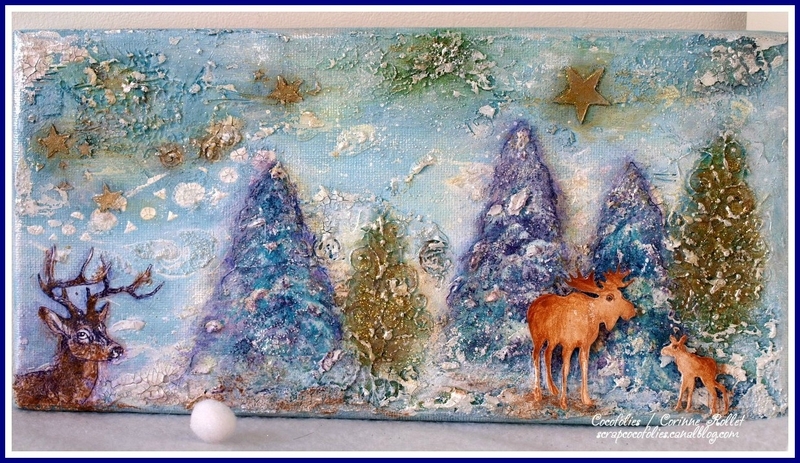 I then attached the background panel to a small canvas, using some rusty tacks. 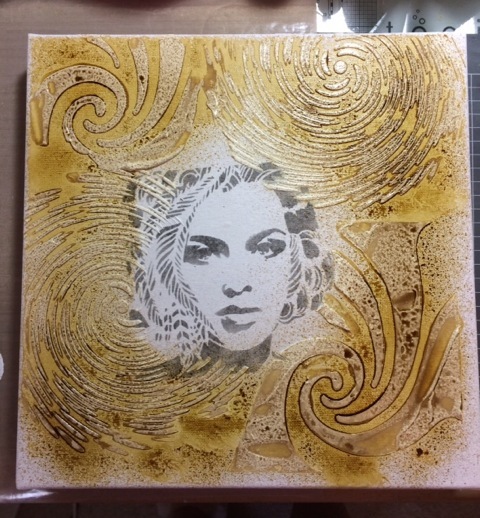 I added a wash of acrylic paint to the surface, using one of Andy Skinner's dirty wash recipes, quinacridone gold, paynes grey and yellow iron oxide. This toned down the shiny surface, but still allowed the gold to shine through. I then trimmed the stamped image, and added border with some left over sparkly, washi tape. I secured it to the canvas with small brads. It is time to announce the winners from our December challenge - Christmas Wishes. 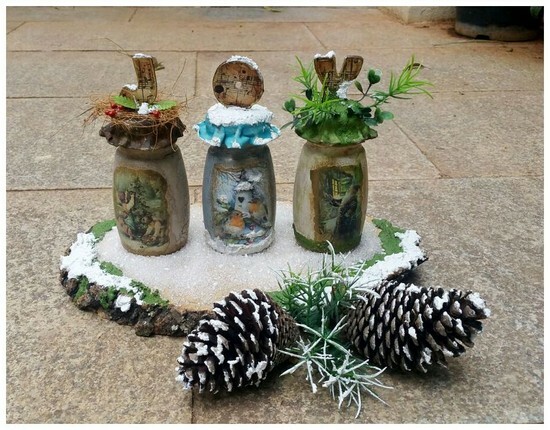 The Design Team has chosen this wonderful little trio of altered jars by Rupa as the winner. The jars make a lovely home decor piece and the musical JOY on the top definitely makes them festive. Congratulations Rupa. Cec will be in touch with you shorty to discuss your Guest Designer spot. And now the Top Three as chosen by Toni, the hostess for this challenge. Congratulations ladies. Please email Cec at cwcardcreations@rogers.com to claim your Top Three badges. Hi everyone, Ruth here with the first challenge of 2017! First of all may we wish you a Happy New Year full of creativity, enjoyment and discovery. 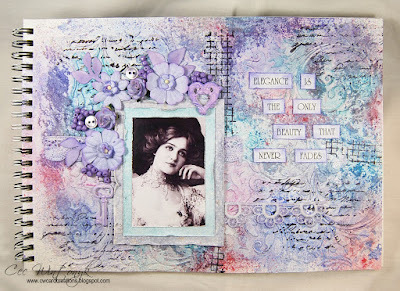 Swirls, Whirls and Flourishes is the theme this month. It may be chilly January but this months challenge doesn't have to be anything to do with winter, this month I'd like you to usher in the New Year by creating any mixed media piece you like as long as somewhere you include a swirl or a whirl or a flourish and some stamping or stenciling, of course! Here are our first creations of 2017 to inspire you.